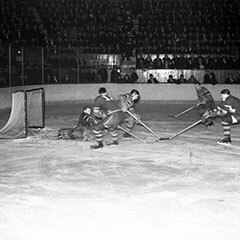 On Saturday October 11th 1952, at 9 pm, Radio-Canada Television broadcast a hockey game for the first time. Live from the Montréal Forum, René Lecavalier gave a commentary on the match which featured the Montréal Canadiens vs. the Detroit Red Wings. On November 1st 1952, it was the CBC’s turn to present its first game. Host Foster Hewitt described the match between the Montréal Canadiens and the Toronto Maple Leafs. 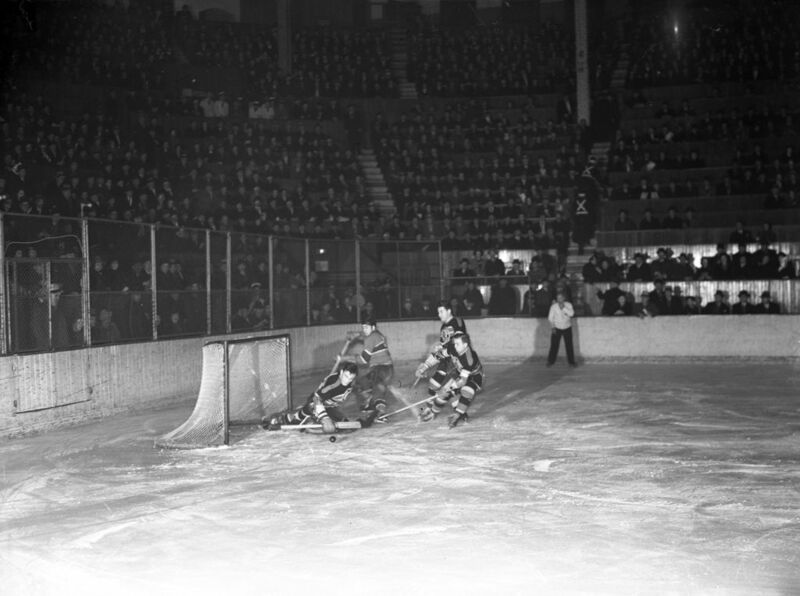 Every Saturday night for the remainder of the season, the public network presented the last part of games the Canadiens played at home. 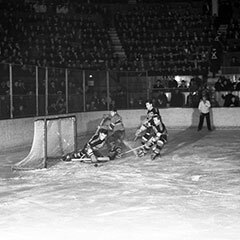 Until 1956, Radio-Canada presented the National Hockey League’s matches at 9:00 or 9:30 pm, a time in the game when the second period was underway or sometimes even over. It wasn’t until October 1968 that games were broadcast in their entirety. 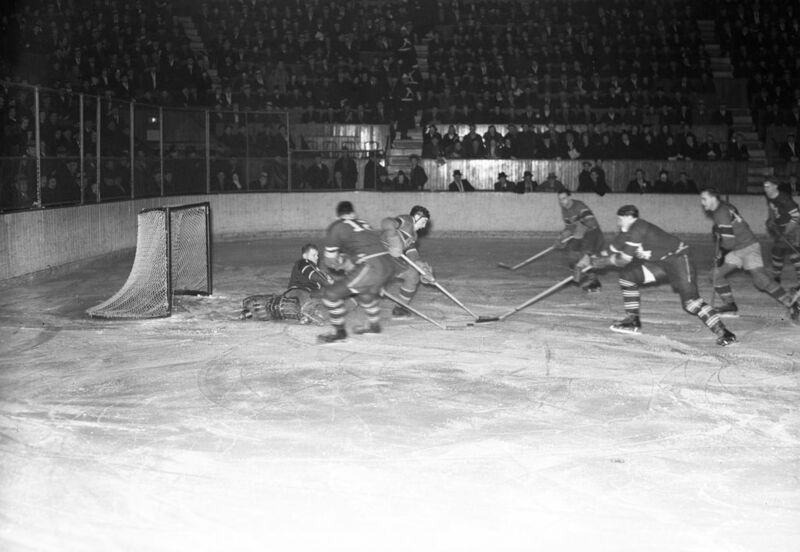 For more than fifty years, from 1952 to 2004, La Soirée du hockey remained on the airwaves of Radio-Canada. Until the fall of 1953, Michel Normandin provided the commentary on hockey matches on the radio. Then René Lecavalier took over, describing matches simultaneously on the radio and on television until 1985. Quite the trendsetter, he banned the use of English terms. He also drew from his experiences as a war correspondent in Algiers to infuse his commentary with battle expressions. In 1968, the McLaren Agency ordered a theme music for La Soirée du hockey from pianist and advertisement composer Dolores Claman. In 2008, CTV acquired the exclusive rights to the song and allowed RDS and TSN to use it when rebroadcasting NHL matches from the fall of the same year.